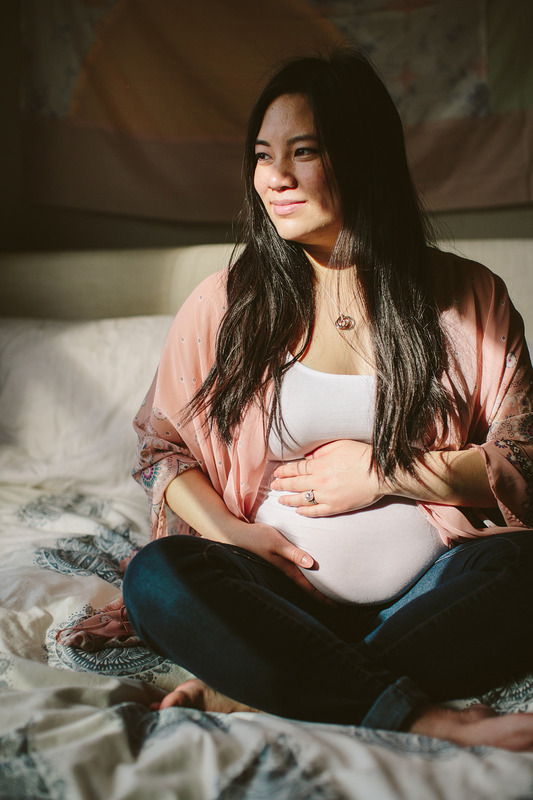 How so much can change in five years! 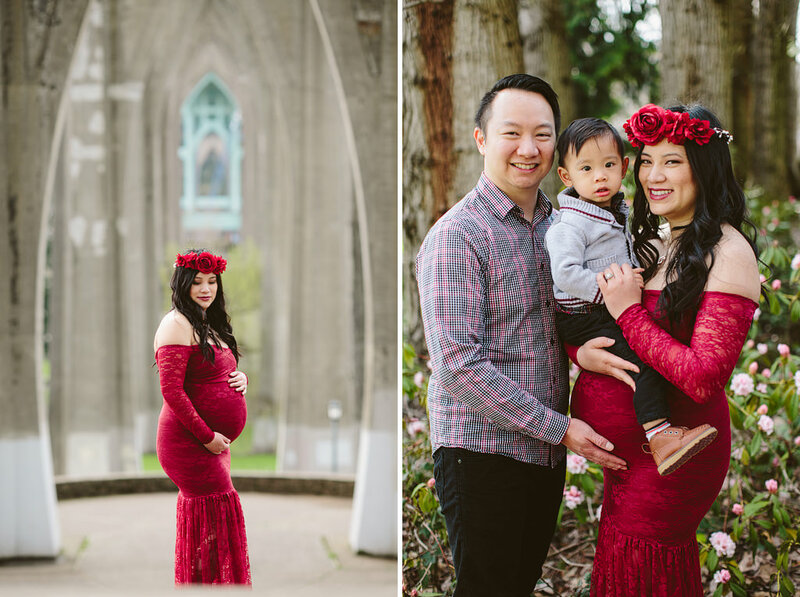 Five years ago, Diane and Paul married at the Nines, here, and I was honored to be their wedding photographer. 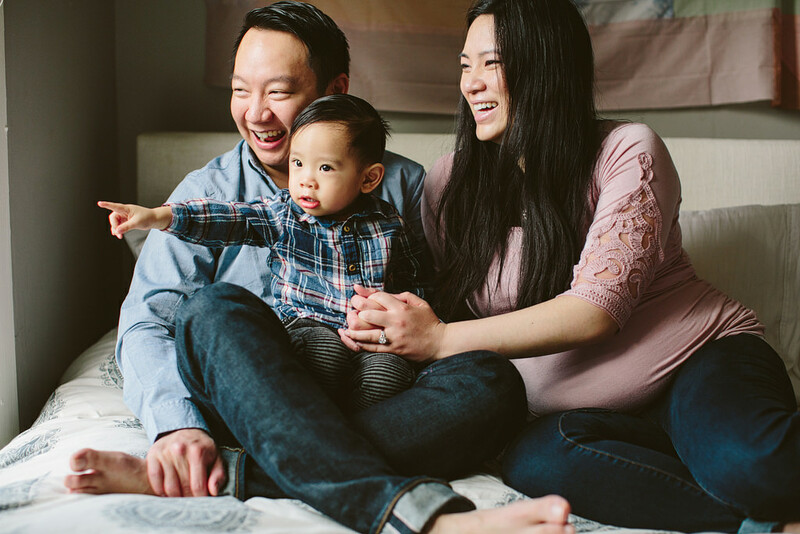 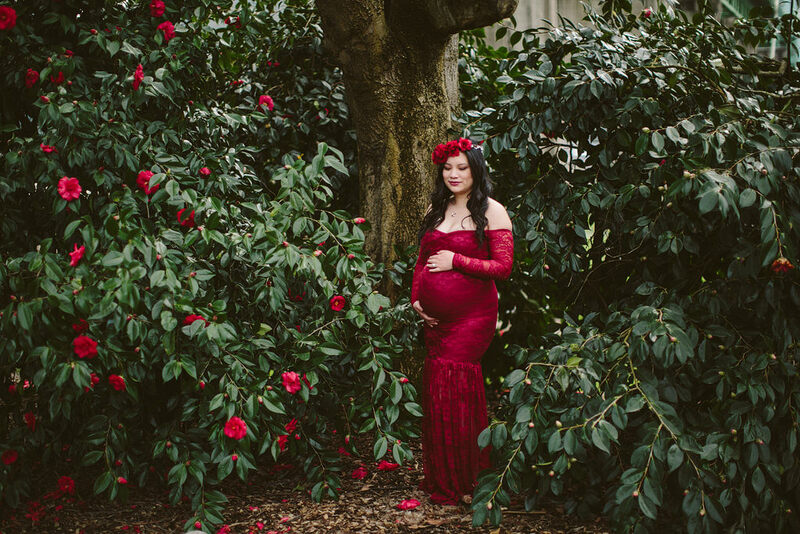 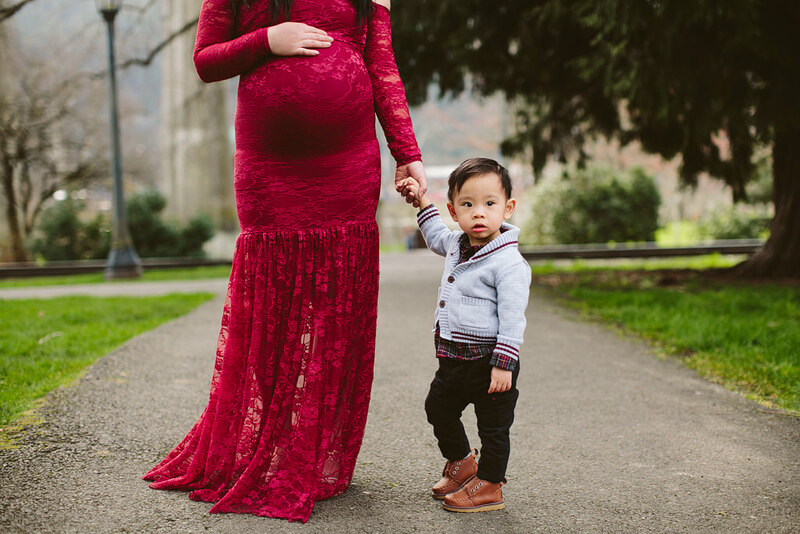 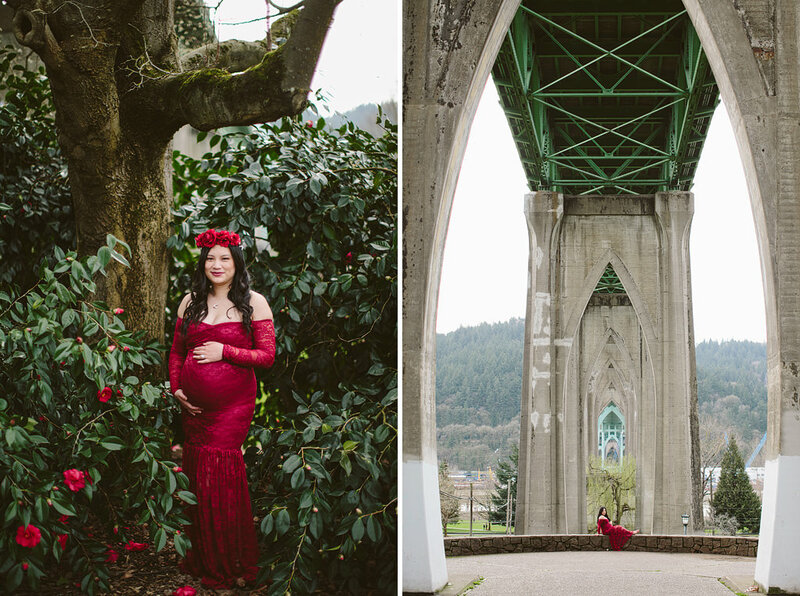 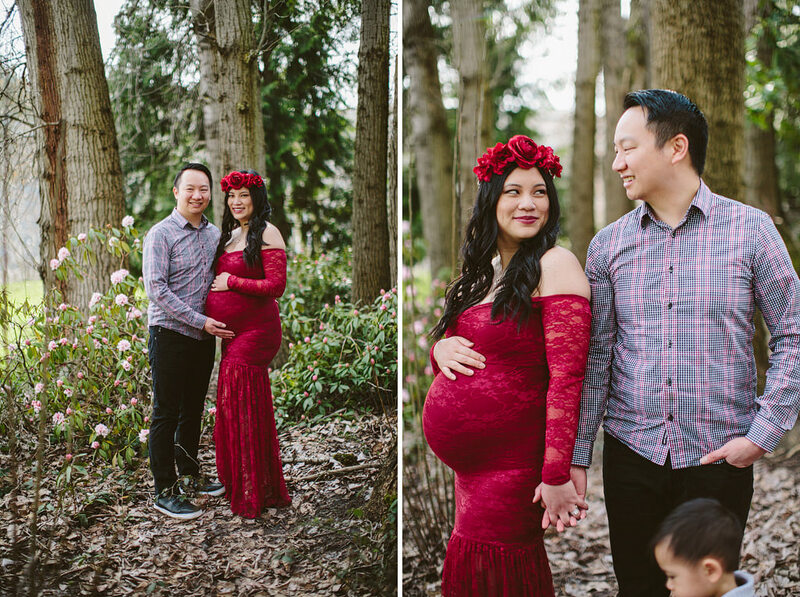 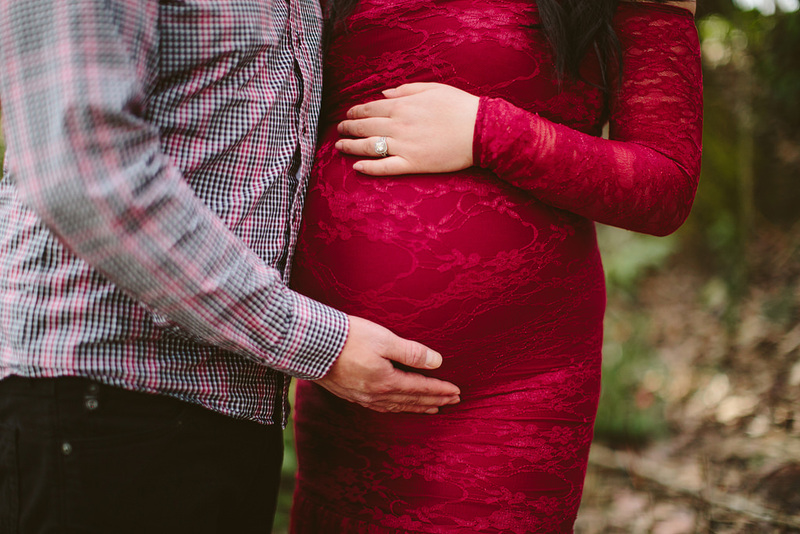 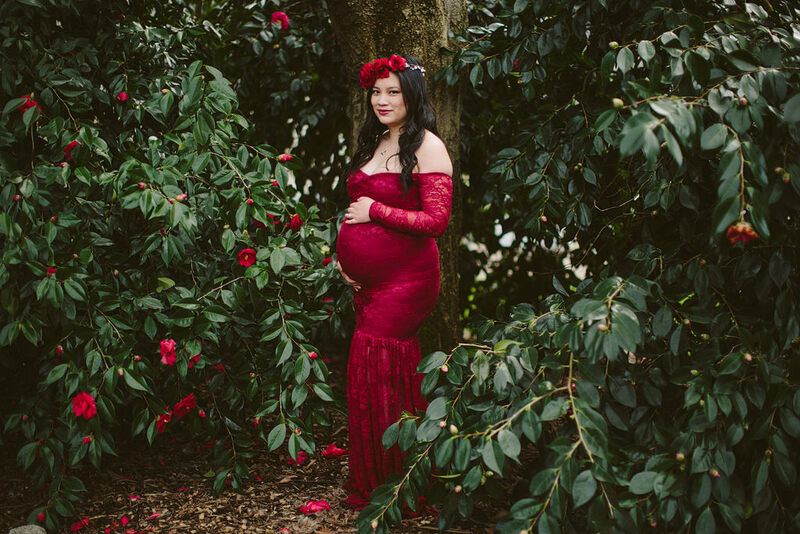 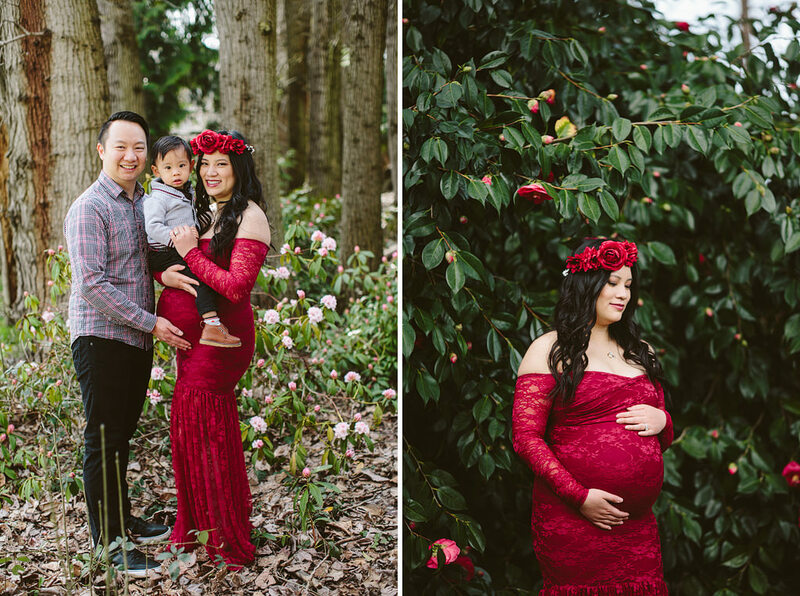 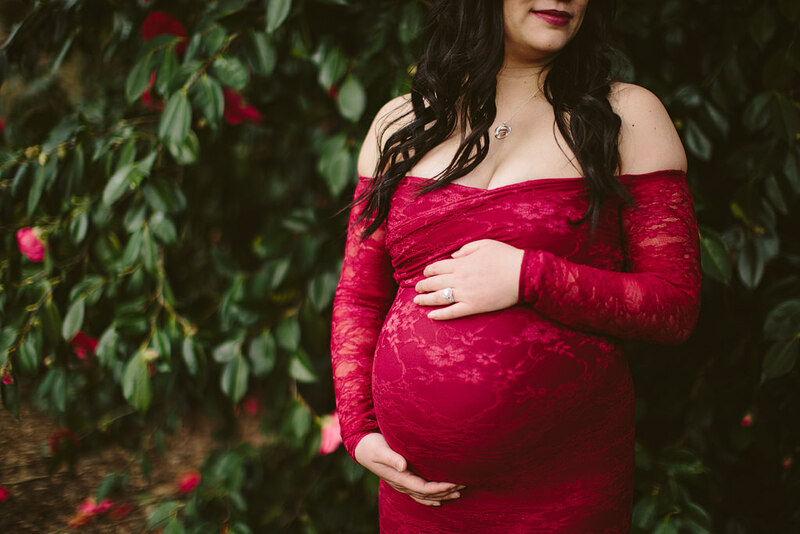 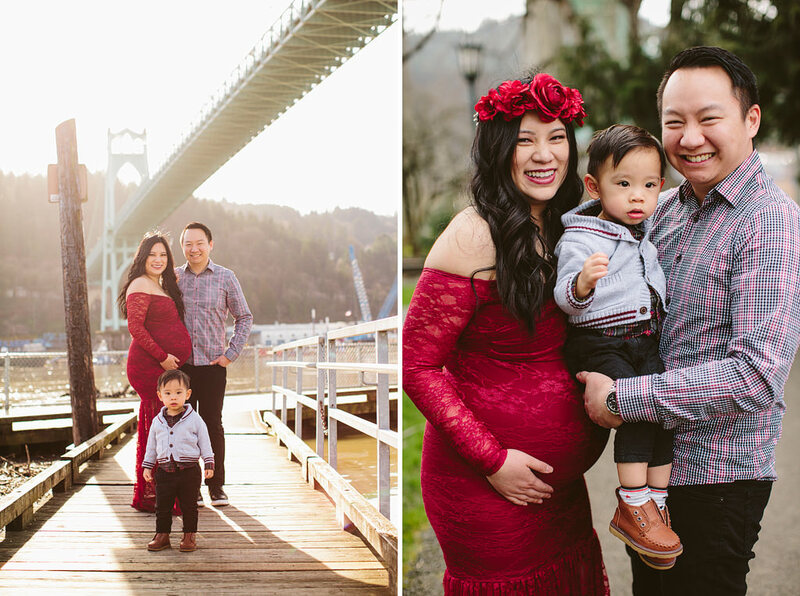 This beautiful and loving couple live in Seattle, and have made the drive down to have me take both their maternity sessions, and it’s meant the world! 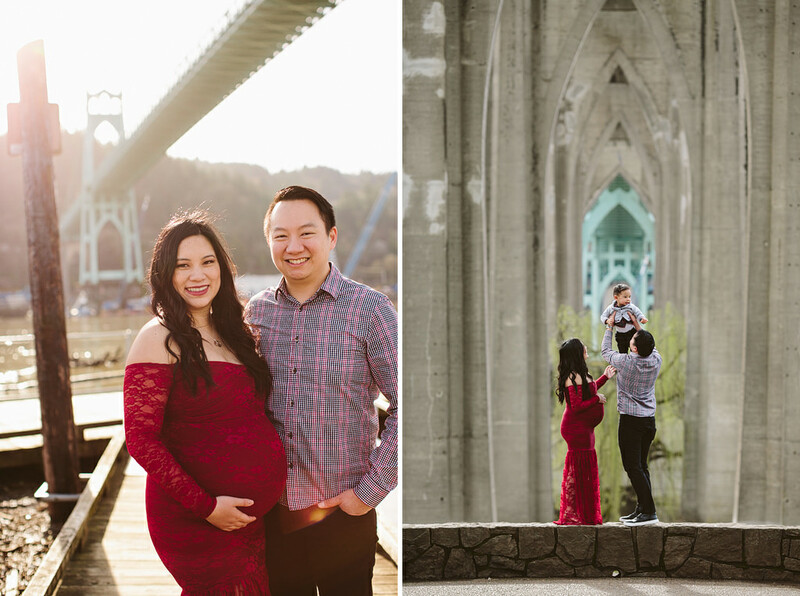 Their last maternity session, here, was with a rooftop sunset in the Pearl and life without a toddler. 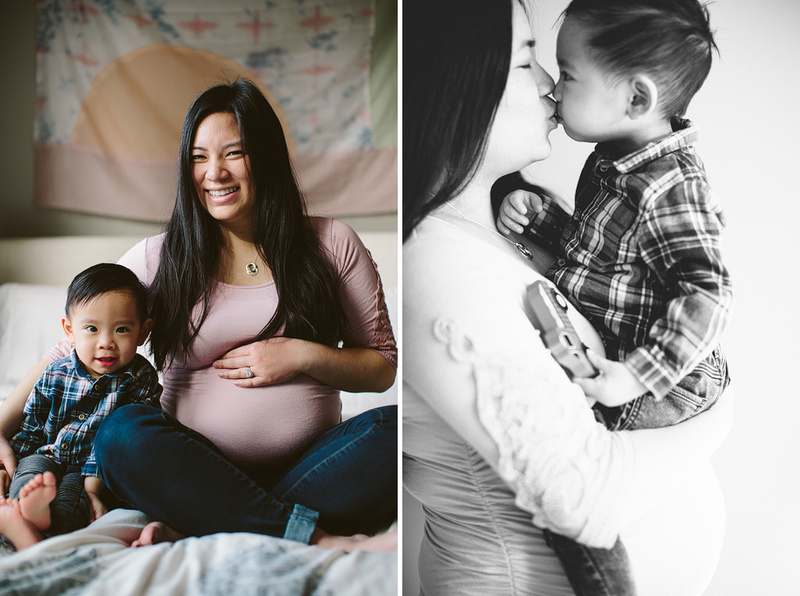 It’s been so wonderful to see and document their family grown. 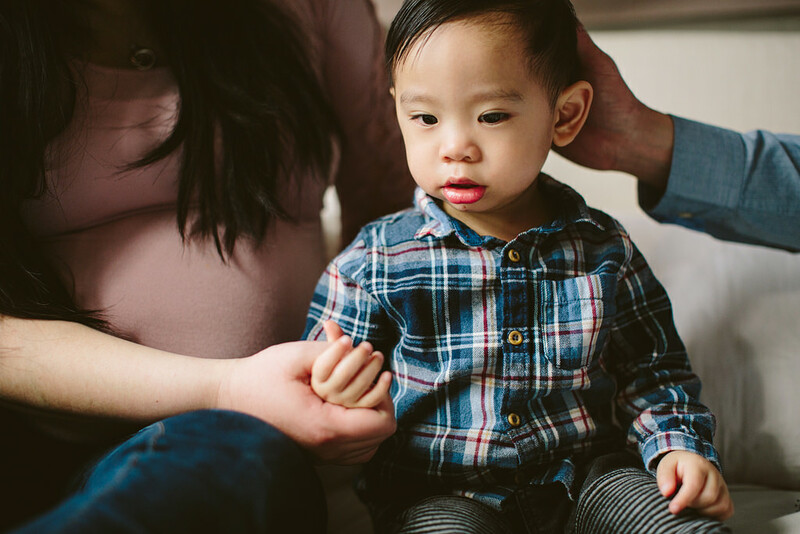 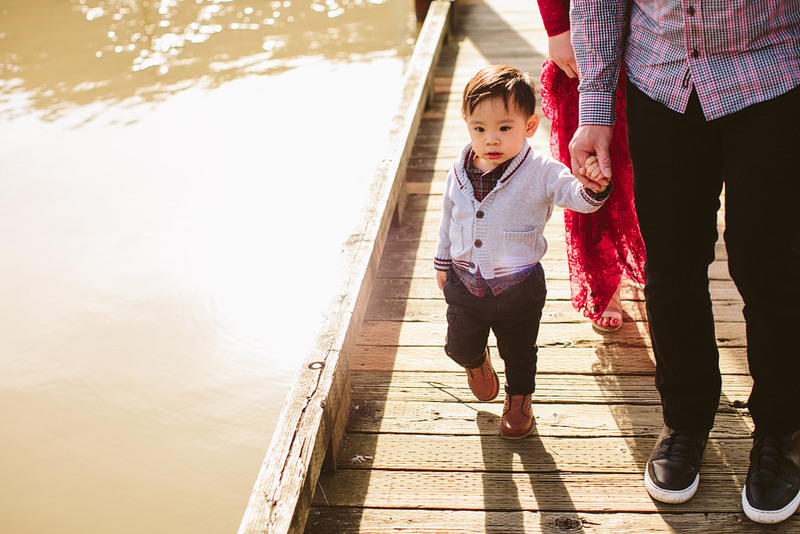 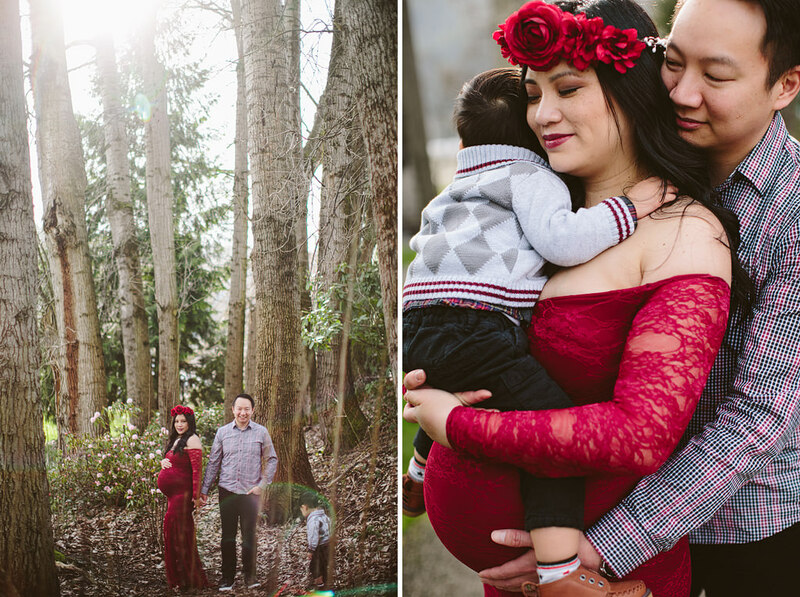 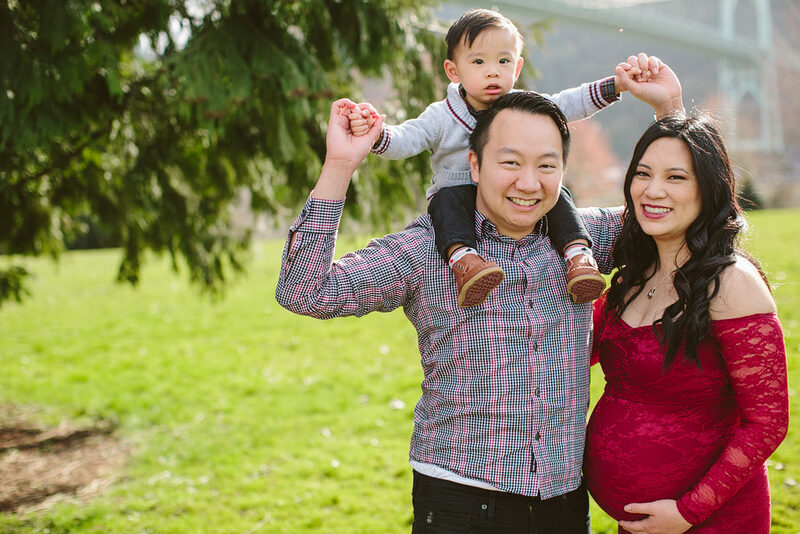 This session was at Cathedral Park and a home for sweet cuddly family photos. 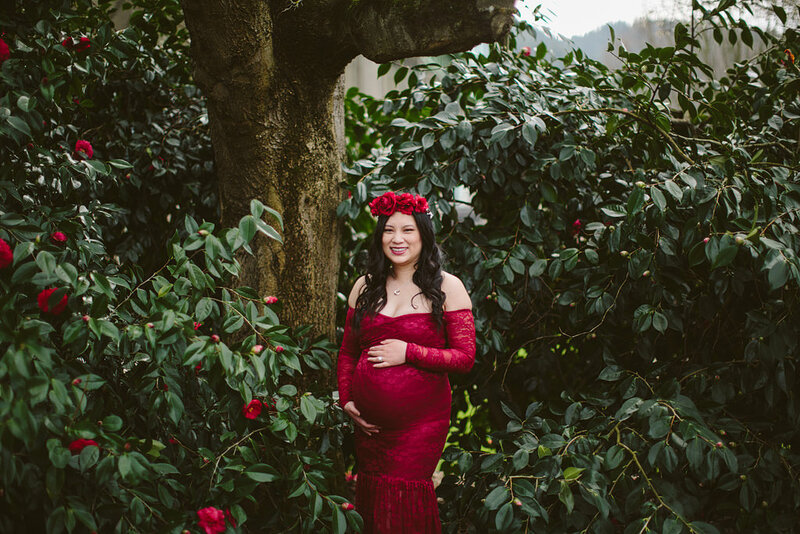 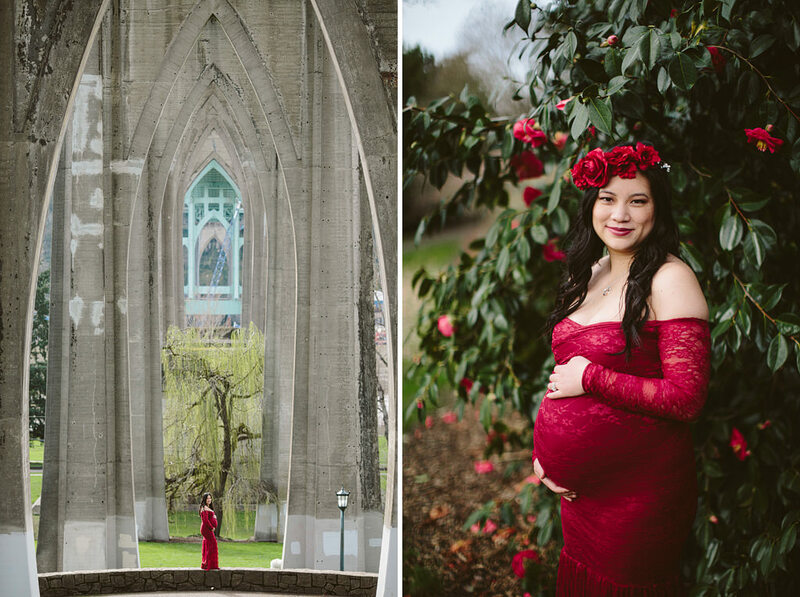 At Cathedral Park, we found tropical looking flowers to match Diane’s stunning lacy dress and flower crown. 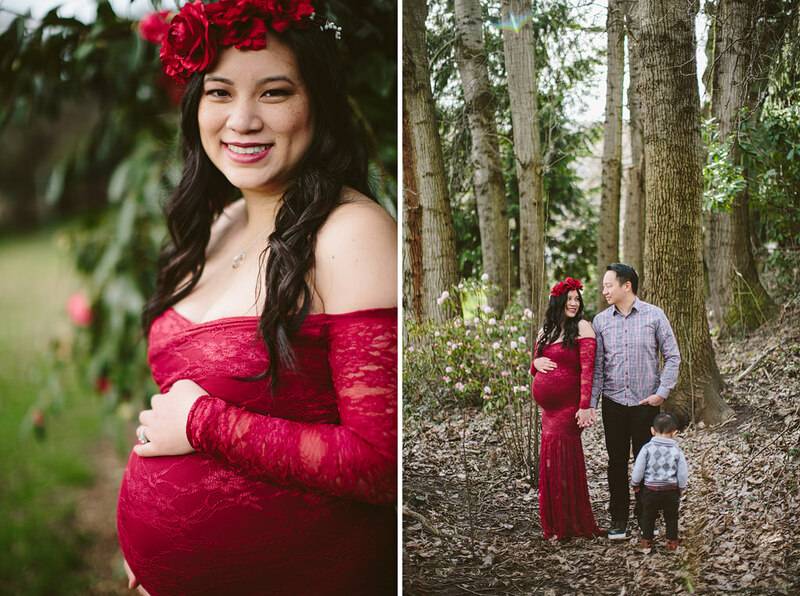 Diane is so gorgeous!